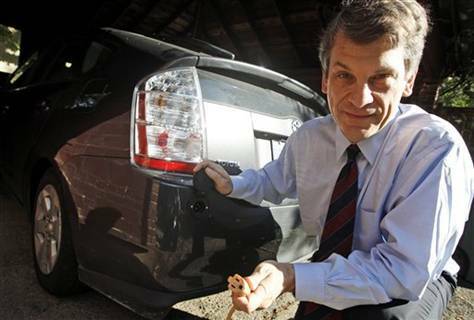 David Sandalow starts his five-mile commute each day by unplugging an orange extension cord connecting his Toyota Prius hybrid to an outlet in his brick carport. He concluded that electric cars and plug-in hybrid-electric vehicles represented the quickest way to begin making the shift. With more than 240 million vehicles on the road, it will take years to turn over the fleet, but he noted that drivers with short commutes — like his own daily trip to the Energy Department from his home in Washington — could use electric power, recharging at night when electrical loads are low. Administration officials are working with states and cities to help streamline permitting for home charging stations and develop public charging stations for those who want to recharge their cars away from home — all for a new generation of motorists.